While writing out your next academic paper, you look online for various images which are appropriate for what you’re talking about. Once you find something you like, you simply copy and paste it because, hey, who’s stopping you? More than likely, doing this is technically illegal. Not only that, but it applies to most content that you can find online — including posts/articles and videos. To make things easier on both content creators and consumers, Lawrence Lessig created the suite of Creative Commons licenses, a set of copyright licenses which clarify what you can do with content licensed with one of those licenses. He was even helped by Aaron Swartz who later on went on to co-found Reddit. So, how can finding Creative Commons-licensed material to use keep you legally safe? Assuming that you didn’t ask for prior permission to use the content, it’s illegal to use it if either of these two cases applies. Copyright laws tend to favor the content creator, so they can place action against you if you use it without their permission, even though they put the content online where it’s rather easy to copy and paste. Now, copy and pasting for little hobbies or personal projects probably won’t get you into any actual trouble (although it’s still illegal), but using it for anything major such as online publications or academic papers could be enough for the offended party to act. It doesn’t matter if you gave the party credit for their work — they could have easily asked for monetary compensation instead of just credit for the work. Use a Creative Commons License! To avoid all of these issues, the best thing to do is to look for content which has a Creative Commons license Creative Commons 4.0 Licenses Are More Global & User-Friendly Creative Commons 4.0 Licenses Are More Global & User-Friendly Copyright law can be confusing, so Creative Commons wants make it easier for the average user to understand. And with the release of v4.0, licenses are becoming more internationally robust and user-friendly. Read More . Creative Commons is a set of licenses which automatically give you permission to do various things, such as reuse and distribute the content. It’s then up to the specific Creative Commons (CC) license whether derivatives of the work are allowed, and whether the content can be used for commercial purposes. These licenses are often seen as the “open source equivalent” for non-code works. A quick way of looking at all CC licenses is by following this link. 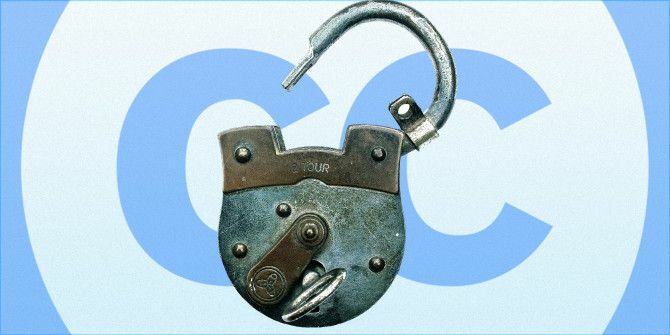 CC0, which releases content to the public domain. You’re free to do whatever you wish with this, and you don’t even have to attribute the work to anyone. It’s basically gifted to you (and everyone else). Europeana uses this license for their metadata. CC BY (CC Attribution), which allows you to use, share, and modify a work as long as you give credit to the original creator. Saylor.org uses this license for all of their content. CC BY-SA (CC Attribution-ShareAlike), which allows you to use, share, and modify a work as long as you give credit to the original creator, and you share any of your modifications with the same (or compatible) license. Wikipedia uses this license for their content. CC BY-ND (CC Attribution-NoDerivatives), which allows you to use and share a work as long as you give credit to the original creator, but you’re not allowed to make modifications to it. GNU and FSF use this license for their websites. CC BY-NC (CC Attribution-NonCommercial), which allows you to use, share, and modify a work as long as you give credit to the original creator, and you agree to not sell that work or any modifications you create from it. The Brooklyn Museum uses this license. CC BY-NC-SA (CC Attribution-NonCommercial-ShareAlike), which allows you to use, share, and modify a work as long as you give credit to the original creator, and you agree to not sell that work or any modifications you create from it. You also agree to share your modified work with the same (or compatible) license. This license is used by MIT Open Courseware. CC BY-NC-ND (CC Attribution-NonCommercial-NoDerivatives), which allows you to use and share a work as long as you give credit to the original creator, but you’re not allowed to make modifications to it. You also agree to not sell that work. TED Talks videos use this license. What Exactly Is Defined As Commercial Use? The Creative Commons organization states that a non-commercial license prohibits uses that are “primarily intended for or directed toward commercial advantage or monetary compensation.” The CC organization doesn’t wish to get any more descriptive than that, and suggests that you should contact the content creator if you are unsure. Otherwise, just search for content which is commercial-friendly as you won’t have any issues with it either way. For the example case of an image, use is usually deemed commercial whenever people have to pay money to see content or gain access to a product that includes the image. In a sense, people are paying some portion of the total amount of money to see this image, and therefore the party profits from this. If the image is used in a way where the image doesn’t provide any profit, it is deemed non-commercial. If you have any trouble finding CC-licensed content, you can very easily go to the CC organization’s search page which uses Google along with some specific settings. If you’d rather use Google and fine-tune these settings on your own (as well as apply them to image searches), I wrote a simple walkthrough on how to do just that How To Find Creative Commons Content With Google How To Find Creative Commons Content With Google Creative Commons content isn’t always as easy to find as you think. In fact, most things that you find and copy are copyrighted in a way that makes it illegal to copy it without asking... Read More . There’s also Compfight which is a Flickr search tool which can filter for CC licenses, as well as three other CC-licensed image search tools 5 More Places to Help You Find Quality Creative Commons Images 5 More Places to Help You Find Quality Creative Commons Images There are lots of reasons you might need to find Creative Commons images. 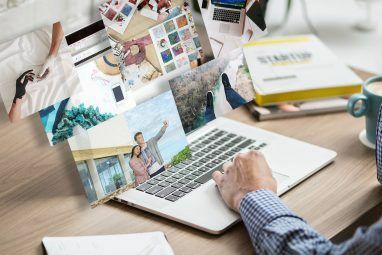 Last year, we introduced you to five great places to find Creative Commons images, with the list including heavyweights like Flickr and... Read More . Need to find CC-licensed music? We wrote about 14 search tools for CC music 14 Websites To Find Free Creative Commons Music 14 Websites To Find Free Creative Commons Music Do you use Creative Commons in any online project? 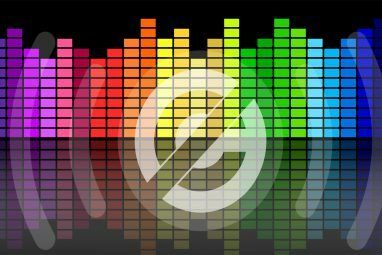 When it comes to Creative Commons music -- there are certainly no shortage of websites with audio you can use for any occasion. Read More too. For you, it can give you increased exposure as others are free to use and share your work (legally). Once you have enough exposure, you can eventually make money off from future works. For the community, they can benefit from your work thanks to the open access — using education as an example, it helps spread ideas and information. For other works, they could build off from your work to create something even better than the original work which the community can use and benefit from. CC licenses are fantastic for working collaboratively and building off of each other to come up with better and better ideas. Joel wrote about 3 career-changing reasons to use a CC license 3 Career-Changing Reasons To License Your Work With Creative Commons 3 Career-Changing Reasons To License Your Work With Creative Commons Think of Creative Commons as a marketing tool that can pay off with huge rewards down the road. Do you license your work under it? If not, here are three strong reasons why you should. Read More a while back. So honestly, it’s pretty easy to get the great content that you want without any legal or ethical issues. And once you incorporate it into your workflow, it won’t take any more time than a regular search will. What have you used Creative Commons for? Do you find these licenses difficult to use? Let us know in the comments! Explore more about: Copyright, Creative Commons. Good morning! I'm a student of the Primary Education degree from the University of Murcia and I was trying to find some information about creative common license for my School Organization and Educational Resources course in order to better understand this topic. Fortunately, I've found this webpage and it has been really useful and helpful for me since it's explained in a very good way, so I just want to say thank you! "While writing out your next academic paper, you look online for various images which are appropriate for what you’re talking about. Once you find something you like, you simply copy and paste it because, hey, who’s stopping you? More than likely, doing this is technically illegal. " WRONG. Use for academic, presentation, education and critique are covered by fair use. Nobody would successfully object to you using a copyrighted image in an academic paper. WRONG. Educational use is still covered by copyright and subject to all four portions of Section 107 of the copyright law for Fair Use. 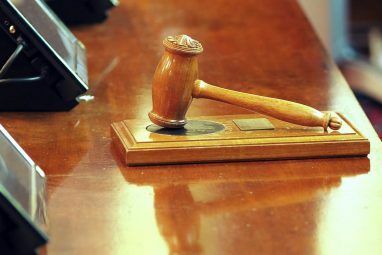 "10% Rule" is widely used, but not necessarily legal, and still potentially unethical. Hi! I´m a student of the subject Organization School and Educational Resources at the University of Murcia. i was looking for some info about Creative Commons and I luckily found this webpage. The contents are exposed in a very clear way and they are interesting. I have found them very useful. Thank you! Hello! We are a group of students from the University of Murcia and your post was very helpful to us in order to know how to use images in our presentations and blog posts. Thank you so much! I am a freelance photographer and fan of alot of the fitness and functional fitness photography I do. I would like to know if I am at a venue that is having a fitness competition and the make a camera policy in place: (see below) Camera and Video Equipment Policy Subject to these rules, non-professional, non-flash photography and video cameras are permitted for personal use only. All cameras—video and still—must be handheld with an interchangeable or telephoto lens no longer than 5 inches in length. Monopods, tripods, and cameras with telephoto or interchangeable lenses greater than 5 inches in length (professional photography equipment) are not permitted. Spectators, attendees, visitors and guests may not distribute, use, reproduce, stream, upload, transmit, broadcast, link, exploit or license any description, account, images, pictures, film, digital, video or audio recording for any commercial purpose without the prior express written consent of XYZ Inc., in each instance. If i abide the rules by following equipments specs, how and what method is best to distribute photos shot for educational and informative purpose to the masses, without getting in touble. A very nice article you made! Straight to the point. So let's say I have pictures that I want to post in my blog or anywhere, how could I exactly use this CC stuff? Do I have to register or something? It's a truly complicated issue and I try my hardest to use images under CC, though even then I hold my breath and hope I have it correct. Thanl you for explaining it and doing it well. I have to admit, Danny, that you made a valiant effort to explain Creative Commons Use but I am more confused than I ever was before! Not your fault at all, by the way. I have been involved in a lot of Paint Shop Pro groups as well Photoshop (not nearly as much though). In recent years, there has been huge production of digital scrapbook material. People put together "kits" that can be printed and used in real-world scrapbooks. I don't understand why since any 3-D effect is lost once it is printed and cut out. Another subject. Here is what I have seen being done: some of the elements sold in the kits (I forgot to say that many are sold) are quite obviously copyright violations. My rule for myself was to create an element from scratch using graphic software. What happens when an artist sees his/her work used and sold in a scrapbook kit? Do they even know it is happening? Also, these kits are copyrighted themselves. In other words, they make all the stuff: papers, "ribbons", "bows", etc. , put them in a "kit" , put a copyright symbol, date, etc. on the kit, then sell it. Is there some rule for doing this? Like I said, I am very confused and worried that stuff I have made will come back and bite me later. Most I made from scratch, as I said. There is a lot more to it than that and I don't want to keep typing about this - I would love to see some discussion about how Creative Commons would be beneficial in this instance. Thanks. Creative Commons licensed images can be edited, published, etc. for ANY purpose. Quite often it even says this before you download it. It's not illegal if it's fair use, but fair use is a very restricted category. Also, there is a difference between using something offline and posting it online which can take something that was fair use offline usage to copyright violation online. Working on your family tree offline could be fair use, but posting the same copyrighted items to Ancestry is not. Commercial is a bit more than listed. Good rule is if somebody is making money off a site through ads, affiliate banners, PayPal donation buttons, etc., it is probably commercial. Most blogs and websites fall under the commercial banner because they utilize some form of revenue generating system. Findagrave is a good example. It does not charge to use the site, but it does have revenue ads on it and you can sponsor memorials for $5. I don't know if it is technically illegal if it falls under fair use. Yup, fair use is a very complicated subject. Especially since it varies from country to country!